On Saturday 24th February, Sixth Form student Ailsa will be performing in the Regional Finals of the Rotary Young Musician of the Year Competition 2018. Having won the Senior category of the competition, organised by the Bishop’s Stortford branch of the Rotary Club last year, Ailsa will play the bassoon in this final round, in Chelmsford Cathedral at 7:30pm on Saturday evening. If Ailsa is successful on Saturday, she will go on to perform in the ‘Rotary in Great Britain and Ireland Young Musician Final’, competing against young performers from all around the United Kingdom and the whole of Ireland. We wish her all the best for this occasion! Having just joined the College Senior School in September, Justin is already making a strong impression as a performer. He has played several times in assemblies and concerts, including sharing a lunchtime recital at St Michael’s church, the Pianists' Concert and music assemblies. 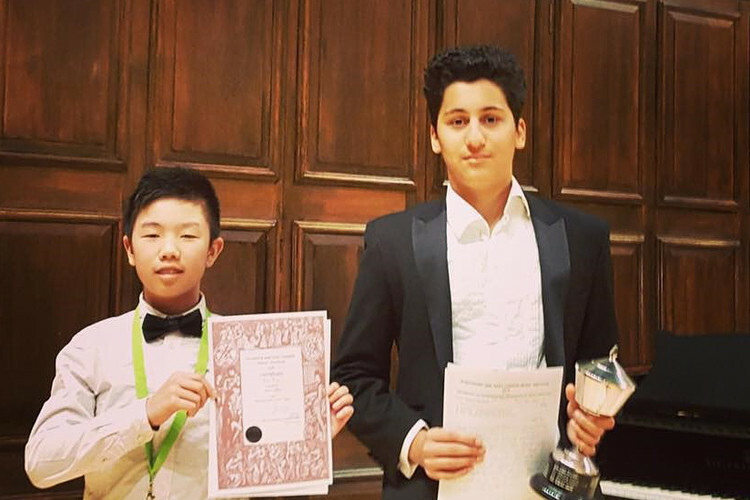 Justin has taken part in several music festivals and competitions and last November was the winner of the Duet prize in the Beckenham Music Festival, where he also was awarded the 2nd prize in the Piano Recital class. We would like to congratulate Justin on his success and we are looking forward to hearing him play for us in the Fourth Form concert next Monday.